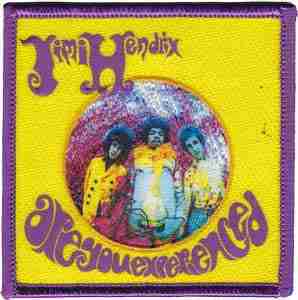 from his 1967 debut record release "Are You Experienced?" . This patch measures approximately 3" square and can be ironed or sewn on your favorite jacket, purse, hat, or backpack. Officially licensed Jimi Hendrix merchandise.